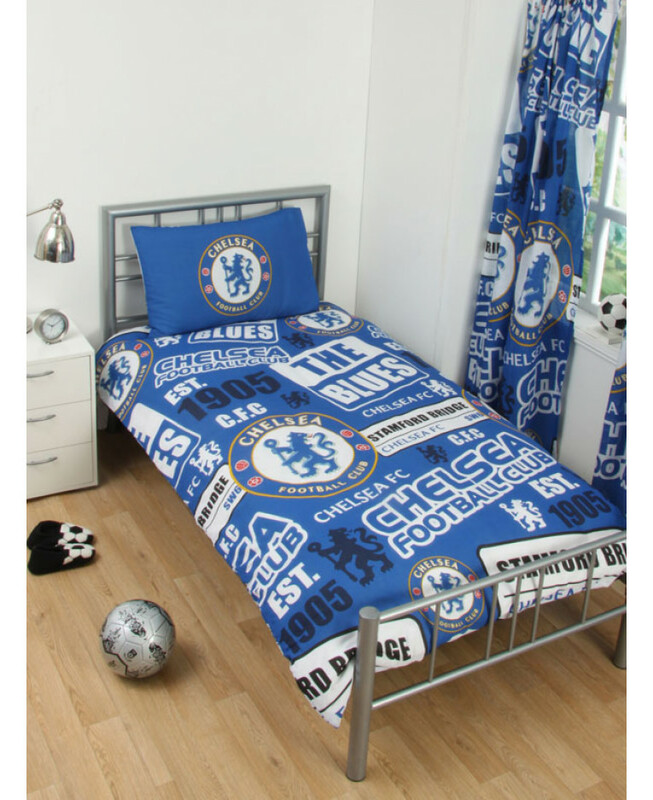 This Chelsea Patch single duvet cover is the perfect bedding set for Blues fans of all ages. 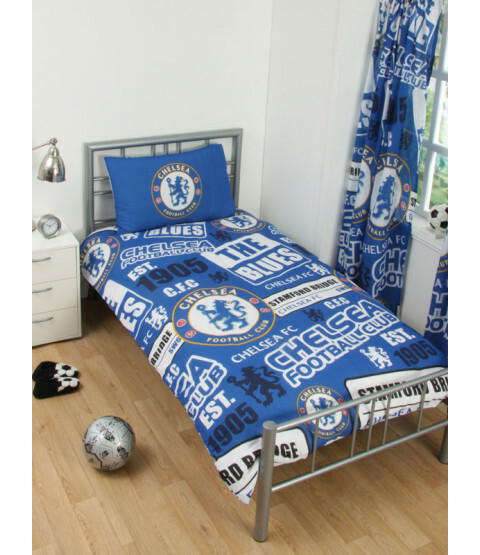 The duvet cover features a fun design that includes the club crest, Stamford Bridge street sign and the year of establishment in a repeat pattern on a blue background. Made from a poly-cotton blend, the set can be machine washed and tumbled dried on a low setting.